"Our world was formed inside a bubble of spit spewed from the mouth of the Laughing God," Sister Bergin told her enthralled audience, a group of children visiting the convent to hear stories. Not many of the people knew of the Old Ones and their myths anymore, and paid her Order to instruct others. She eyed the bubble sky, the swirling blue-green signaling the coming night, and hid her apprehension. "We float at Her whim, and we must never forget that. Our world has reaped the blessings of living so close to our Creator. But at the appointed time, She will pop the bubble that contains us." A collective gasp blew around the group. Sister Bergin smiled at them sadly. "When the bubble is destroyed, when the Laughing God releases us into the void, all that we know of our world will be as if it never were. It will wink out of existence in an instant." Some of the children began to cry, and she comforted them as best she could, patting heads and passing around her handkerchief. When all grew silent again, she solemnly resumed. "We are children of the God, never fear. She will not abandon us, although She destroys our world. As long as we have been faithful to She Who Made Us, we will live on in whatever form she blesses us with." "After a lifetime of study and prayer, I still do not have all the answers, children." Sister Bergen stood, looking past the children at the more rapidly swirling sky, her heart heavy. "Come children, let us all hold hands and pray that the God will send us many blessings." The children huddled close to Sister Bergin for the meager comfort. She smiled at them, wishing that her arms could embrace them all, hold them all close to her heart. She raised her hands up and began to pray aloud, a false hope that she was wrong rolling around her head. It’s Write at the Merge time again. Week 11! Our creative writing prompt offers up two … somethings… for your inspirational pleasure. Find where they intersect for you and write on! Sometimes it will be one, sometimes both; you’re welcome to bring fiction, memoir, and poetry to our table. The link up is live until Thursday at midnight PST. On Friday, we’ll offer up a little recap. Do come back by. We hope you’ll enjoy reading your colleagues’ offerings as well. Courtesy of imgur.net. Click to return to source. And the prompt for Trifecta is the third definition of the word TIME. Ah! A new spiritual belief system, with a laughing vengeful god who follows through! I think weird thoughts, sometimes. Oh, well done! I hope the laughing God gives them some more time. 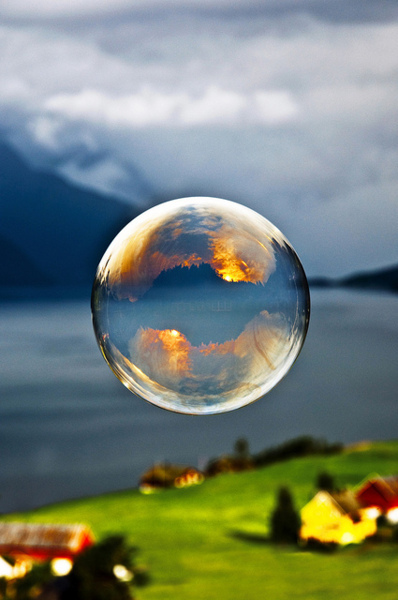 I can see why they found the thought unsettling; all of creation being as delicate as a bubble waiting to be popped? Neat idea. Loved the perspective of the residents of the bubble and how harsh their world is compared to the lightheartedness that bubbles usually bring, especially for the laughing god standing outside. Oooo... such a fickle god who blows the bubble! What a burden, to carry worries of the end of the world while still trying to comfort those around her. I feel like this was being told around a campfire, a warning of inevitable things. Wow, nice job. I see why it earned 2nd place in this week's Trifecta. So thought provoking with the Laughing God and the sister still hoping for blessings. Really nice piece, Tina. Thank you--I used to worry about popping bubbles for this very reason!